Legends of the Knight weaves together the stirring true stories of individuals who have overcome devastating obsticles, unselfishly given to the community, and embraced their inner superhero because of their love of Batman. 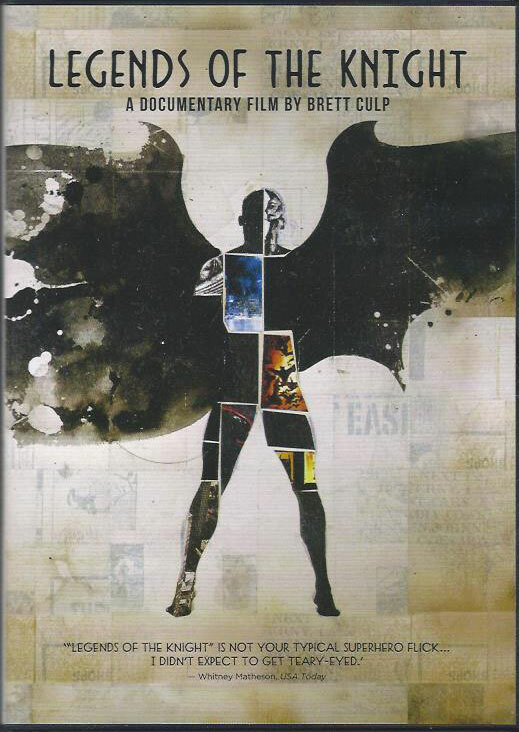 Through the deeply personal tales of batman fans, writers, and filmmakers, this feature-length documentary explores the power of heroic stories and encourages viewers to find their own unique path to heroism. Funded by over 1,100 people from around the world, Legends of the Knight is a return to our childhood dreams of being a hero. Put on your cape, and be inspired! Join us at the DCJCC to view this amazing documentary and be inspired to give back through community service. All proceeds will be donated to the DCJCC's Morris Cafritz Center for Community Service Department (MCCCS) and their work with and for sick children in the DC area. Wear your Batman gear and motivate to make a difference. Consider joining the bone marrow registry. Save a life! Learn more about the film at www.wearebatman.com. There is a $5 suggested donation or pay what you can. Presented by Geek Night Out and the DCJCC.